INTRA Group has supplied corrugated roof sheet plants to most of the leading Sheet manufacturers in India. 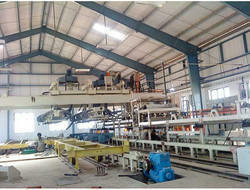 We are one of the well-distinguished companies in the market that are into offering Roofing Sheet Machine. With our sustained efforts & dedicated management, we have been able to manufacture qualitative Lead Sheet Machine. 1. UNWIND STATION WITH PNEUMATIC BRAKE. Keeping track of latest market development, we are devotedly occupied in providing an extensive range of Sheet Pasting Machine . · There are four models starting from a speed of 150 sheets per hour to 900 sheets per hour. · Makes big, beautiful, thin sheets. · Sheets made using this machine dry quickly in the smoke house. · Needs very little maintenance. Bending MachineThis sheet bending machine is used to bend the sheet from 1 mm to 6 mm. We can able to develop any type of bending machine and pipe bending machine to customer specification. This machine is exclusively designed and manufactured for the pasting of corrugated sheets of different ply. Simple in design, strong in construction, east to operate and is assured of faultless working during continuous operation. 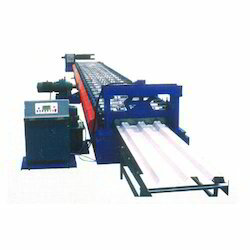 Sheet Pasting Machine is meant for glueing the fluted side of two ply board to make the corrugated board of different plies.